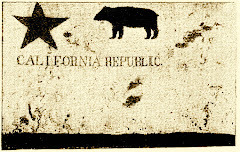 Thanks to Kevin Levin at Civil War Memory for bringing this series of collectibles to our attention. 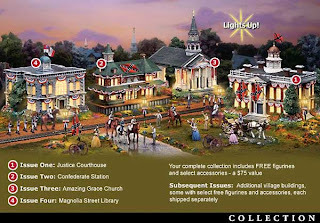 Buy the courthouse and get the R. E. Lee figurine for free. Buy Confederate Station and they'll throw in Stonewall Jackson. 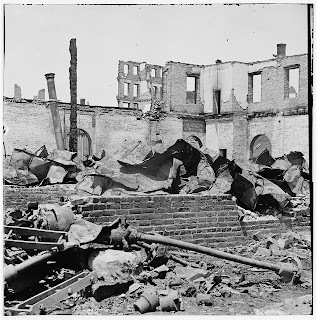 It's not as realistic as this photo of Richmond in ruins, but then I don't suppose the intended audience wants a free figurine of Presdient Lincoln, surrounded by joyous slaves, strolling over to the White House of the Confederacy to rummage through Jeff Davis's desk. SYDNEY -- One of the last two known veterans of World War I celebrated his 110th birthday Thursday with at least three generations of family and a contingent of navy officers in dress uniform. His daughter said he didn't want a fuss. 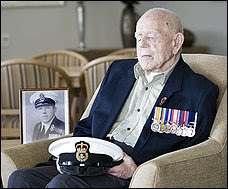 Claude "Chuckles" Choules, who sneaked into the British navy in 1915 aged just 14, has lived quietly in Australia for more than 80 years, though his longevity has brought him closer to history with the passing of each comrade who fought the war that was meant to end all others. They say the last Civil War veteran died around 1959, the year I was born. Now, a mere half century later, my grandfather's generation of WWI veterans are down to two (that we know of). History is a work in progress. Every day we watch it unfold, and the events of today are profound even if we cannot discern the ramifications. The nightly news is nothing short of astonishing. Not the Charlie Sheen part. The medical and technological advances part. The revolutions in the Middle East part.